They say the way to a man’s heart is through his stomach. Apparently, it’s also the way to a golfer’s heart. One of the most popular golf offerings in Myrtle Beach is “The Legends Golf Bundle,” a day that includes breakfast, lunch, and two draft beers or fountain drinks plus a round at one of the five Legends courses for just $65 (double in high season). If you’re thinking about a visit to Myrtle, the economy’s pain is your gain—still. There’s so much competition among the 100-plus courses and 90,000-plus rooms, suites, and condos, not to mention the more than 1,800 restaurants lining the 60-mile “Grand Strand,” no one has been able to raise prices from recession levels so the bargains remain terrific. And although they’re best during the shoulder season of late fall through late February, the truth is Myrtle Beach remains a frugal golfer’s paradise year round. For just $599 (in early December and with temps in the 70s) I stayed three nights in a very clean and homey hotel room with a kitchenette at the Inlet Sports Lodge in Murells Inlet on the South Strand and played five rounds on some of the area’s best courses. And there are even better deals than that. During my first round, at Grande Dunes Resort, an enjoyable Roger Rulewich design with a few holes perched above the Intracoastal Waterway, I was paired with “Bubba” from Memphis who’s been making the trip for five years because of deals like the one he got this time: six nights and six rounds for $350. Granted, his package didn’t get him on the historic and recently renovated Dunes Club, perhaps the best course in Myrtle, as mine did, but he still got to play some pretty decent courses. offer a choice of deals. 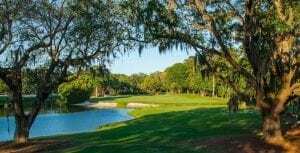 I chose a South Strand trip for its laidback vibe, charming seafood shanties, and the excellent collection of marsh-side courses along the Waccamaw Golf Trail. Two of the best are Mike Strantz’s dynamic duo of Caledonia Golf and Fish Club and True Blue. 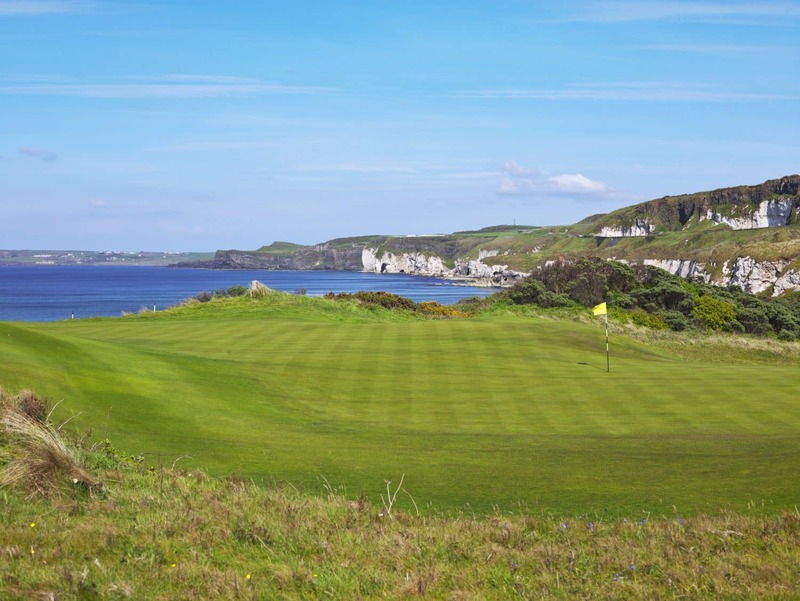 They make a great 36-hole combo, not only because they’re right next to each other but also because they complement one another so well: The former offers an intimate routing through moss-draped oaks, while the latter is a bold design with giant waste bunkers and greens. The last stop on my itinerary was TPC Myrtle Beach, an immaculate and challenging Tom Fazio design with a wonderful collection of par threes, especially the peninsular-green 17th. My playing partners, Ken and Linda from Bucks County, Pennsylvania, have been visiting the Grand Strand for 30 years: They nabbed $49 green fees through teeuptomorrow.com. “We come down this time of year for all the great deals,” Ken noted. “And to celebrate our anniversary,” Linda retorted, shooting him a playful look. Unlike wedding anniversaries, the deals in Myrtle Beach are pretty unforgettable.